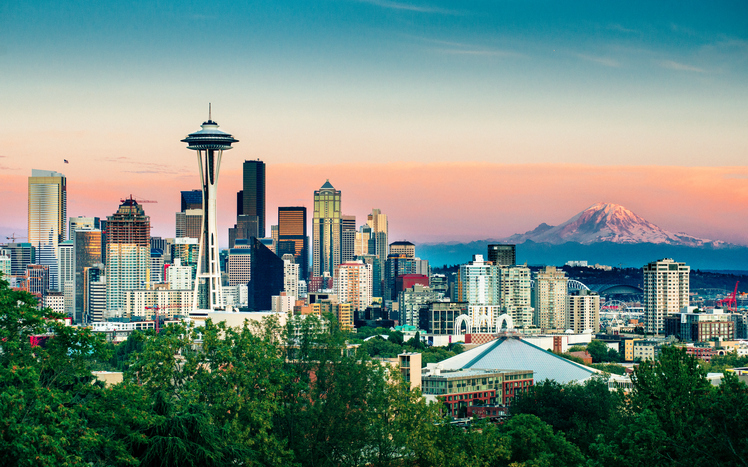 If you’re looking to launch, or join, a start-up business, scope these cities. Whether you’re fresh out of college or considering a new opportunity elsewhere, chances are there’s a promising start-up near you—or if you prefer, thousands of miles away. Likewise, if you’re an entrepreneur looking to launch your own start-up, you’re no longer limited to Silicon Valley, the Silicon Prairie, or any of the other “Silicon” locales established a decade ago. You can’t, however, just throw a dart at a US map and expect overnight success. The non-tech press tends to put forth the narrative that the entire country is in the middle of a constant start-up explosion—this isn’t necessarily true. Previous hotspots have cooled (though they’re no less vibrant), and new ones have popped up in unexpected areas (Denver, anyone? ), but compiling a definitive list requires some number crunching. Young adult dwellers: We tallied the local population percentage of those aged 25 to 34, one of the simpler indicators of a favorable environment for new ideas and businesses. Higher education: We also factored in the local ratio of those 25-to-34-year-olds holding a bachelor’s degree, along with professional and graduate degrees. Naturally, there are more than a few college towns on the list. Local employment: More bluntly, what’s the joblessness rate of each city? We looked at employment numbers across the US, also within the 25 to 34 age range, and most cities in our top 10 scored 90% employment or higher. Income vs. rent: How much money will you have to shell out for housing? The numbers we discovered are in-line with growth stats: few of our top 10 cities are cheap, so be prepared for some income trade-off. Start-up surges: As mentioned previously, there are a few surprises amongst the old guard of familiar start-up-centric cities. Even the lowest-ranked cities on our list have seen recent start-up growth of over 75%. No real surprise here: Silicon Valley–adjacent San Francisco is stacked deep with entrepreneurs, money, and highly educated young tech talent, and the start-ups just keep, well, starting up (at an impressive 106.9% rate of growth). 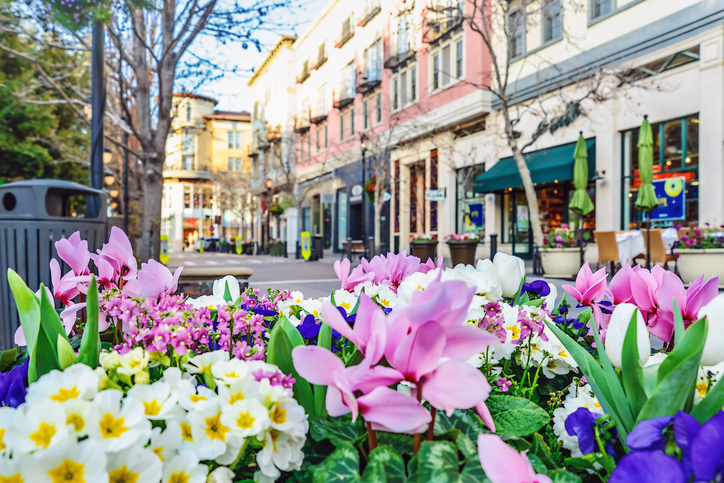 Beyond business, the unofficial capital of Northern California is an epicenter of arts, culture, and lifestyle. 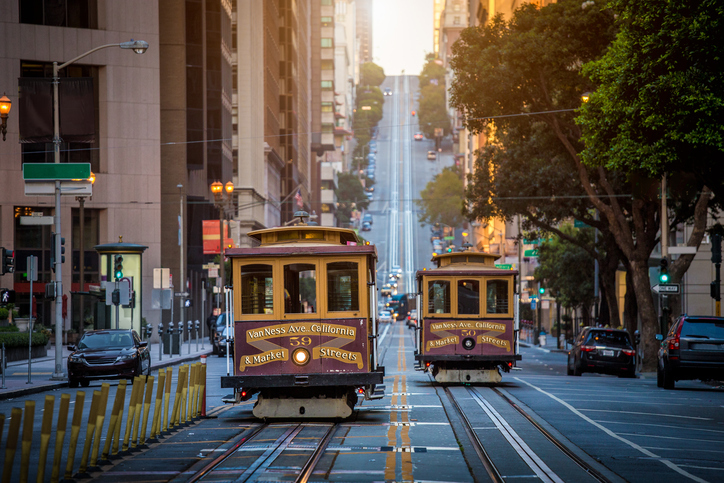 San Francisco is a pricey place to live, but the city’s median income closes the gap comfortably. The locals’ motto of “Keep Austin Weird” could easily be flipped to “Keep Austin Wired,” as the Texas tech hub is home to over 5,500 start-ups, as well as big-boy firms like Google, Facebook, and Apple. 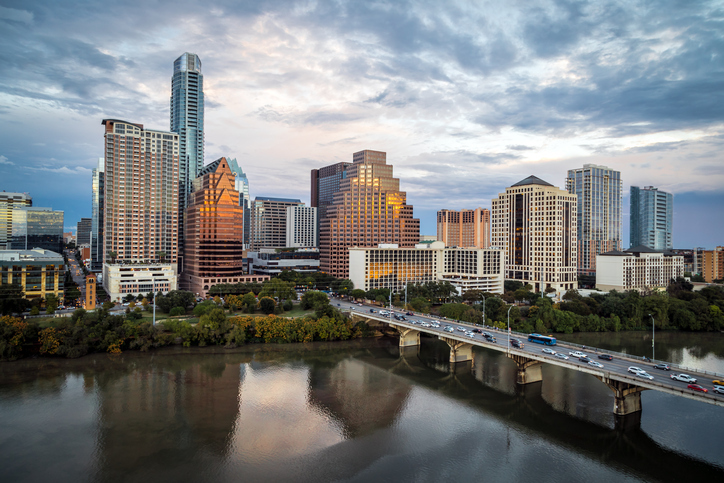 Like the Bay Area, Austin is loaded with educated millennials who enjoy the city’s vibrant arts and dining scene—but at a lower cost-of-living price tag (nearly half of San Francisco’s). All of these things contribute to impressively high employment. 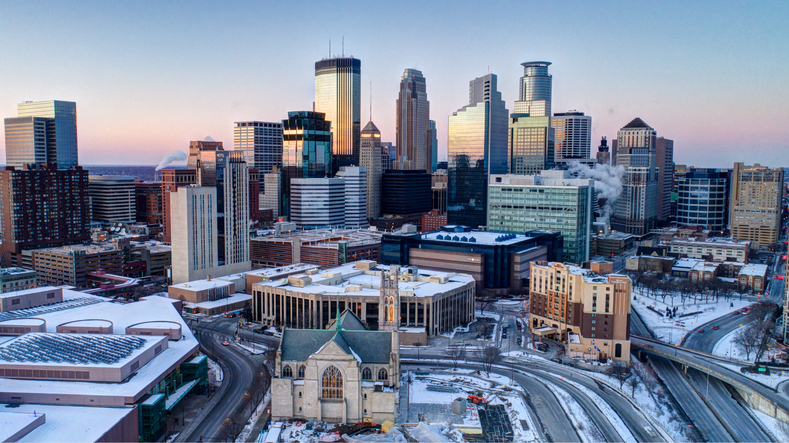 Up north, Minneapolis (along with its Twin City, St. Paul) boasts similar population age, education, and overall affordability numbers to Austin, if not quite the same cultural cachet. The real story here is Minneapolis’s start-up growth—a remarkable 121.3%, the highest of our top 10. In contrast to the state’s inexpensive cost of living, Minnesota’s tech pay is almost twice as high as the average state wage. Silicon Valley itself was bound to show up in this countdown, and San Jose still has the youth, college degrees, and start-up growth (second only to Minneapolis’s) to justify its position. However, the sitcom conceit of coder bros living on top of each other in an overcrowded house in HBO’s Silicon Valley is uncomfortably close to reality: San Jose, and surrounding areas, are capital-E Expensive. In 2017, TechCrunch headlined an article with “Columbus could be the next start-up city,” and our research doesn’t disagree. 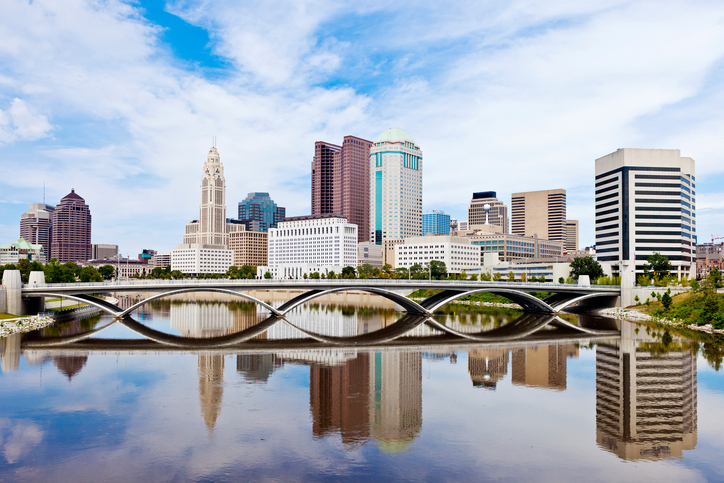 The capital city of Ohio makes a strong argument, with a large, educated young adult population and solid numbers for start-up growth, plus a recent $277 million Smart City grant to shore up the city’s infrastructure. Columbus is also highly affordable, but its culture and nightlife fall short (for now). 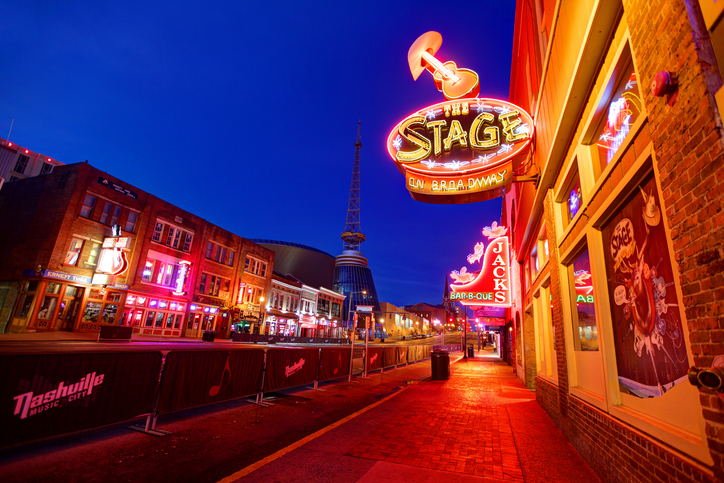 Nashville has long been known for twangy country and honky-tonks, but now entrepreneurship is striking a ringing chord in Music City. While the Tennessee epicenter shows a healthy start-up growth rate of 95.6%, relatively low rent and housing, and a large younger demographic, we found less of an educated population here than in other cities on this list, despite Nashville being one of biggest college towns in the US. Three of the companies vying to own your life—Amazon, Starbucks, and Microsoft—reside in Seattle, so of course it’s in our top 10. The Emerald City is youthful and educated, for sure, though start-up growth has slowed somewhat in recent years, and it’s still nearly as expensive as San Francisco as far as housing and venti lattes go (with just you existing in the city, Seattle could eat up about 30% of your income). Naturally, this high-density college town earns bragging rights for degrees—but then falls off sharply when it comes to demographics under 35. Maybe it’s because of Boston’s astronomical costs of living, the highest we clocked in our top 10. 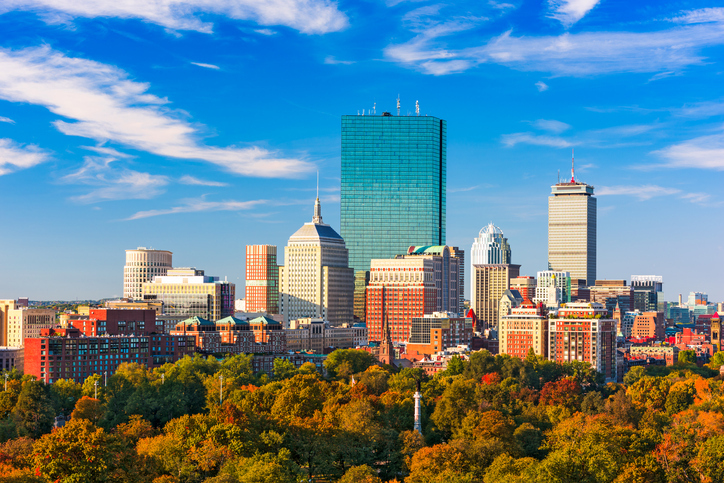 Still, Beantown’s start-up growth is robust, with employment figures to nearly match. The rent may be high, but investor money is flowing: Boston start-ups raised $367 million in February 2018 alone. 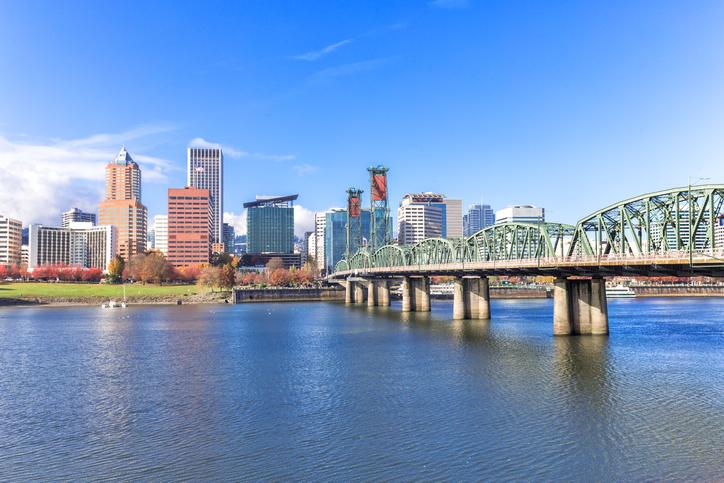 With a relatively low showing in 25 to 34 demographics, Portland isn’t quite as youthful as its Pacific Northwest rival city Seattle, nor is it as educated, ranking 10 percentage points below. But the living is a little cheaper, as well as more artsy and “chill”—if Seattle is a superstore, Portland is more of a farmer’s market. Rose City’s start-up growth, however, is anything but relaxed, outpacing Seattle’s by almost double the percentage points. 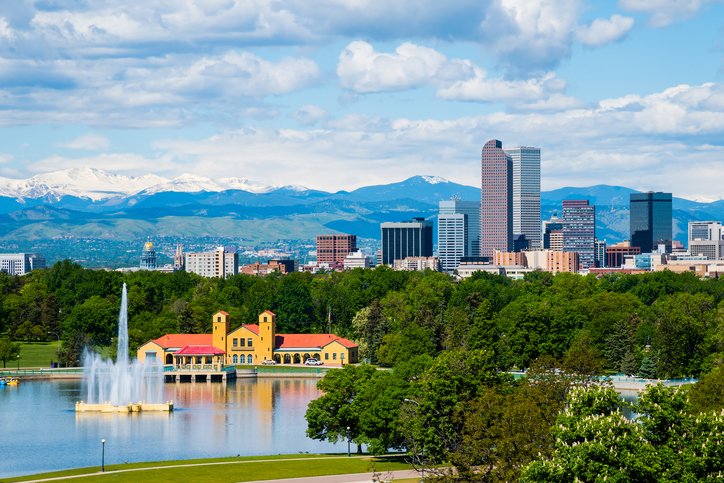 Denver has a lot of young people, and they’re working: the Mile-High City has the lowest unemployment rate of our entire top 40. The levels of college education and start-up growth hover around the middle, however, and the rent is on the expensive side (nearly on par with San Francisco, in fact). Still, Denver’s gorgeous mountain scenery and easy access to transportation (together with certain legalized substances) are tough to beat. The mantra may be old, but it obviously still applies: “Location, location, location!” Where a business is selling is as important as what it’s selling—and it’s something to seriously consider when you’re looking for your next, or even first, career. Are you planning a professional move to any of these cities? Do you currently live in one you think should be ranked higher? Or lower? Share your insights with us. Business.org analyzed data for the 40 largest Metropolitan Statistical Areas as defined by the U.S. Census Bureau, and included data from the Kauffman Index’s 2017 Growth Entrepreneurship report. Start-up growth rates were informed by the Kauffman report, which is based on U.S. Census Bureau data from Business Dynamics Statistics, and measures the average change in employment for start-ups during their initial five years. This accounts for 30% of the overall score. The rest of the score is based on data from the Census Bureau’s 2016 American Community Survey: Percentage of the population aged 25 to 34 accounts for 15% of the score. Employment rate for population ages 25 to 34, 20% of the score. Percentage of the population aged 25 to 34 holding a bachelor’s degree or higher, 20% of the score. Rent as a percentage of income, 15% of the score. I grew up in New England and have lived in Columbus for 20 years now. While it’s not a major city like Boston or San Francisco, it’s cultural offerings are surprisingly robust for a smaller city. Each of these cities are changing rapidly. That’s how startup cities are. Austin was sleepy a decade ago and now has a large varied social life. Makes you wonder which city is next to change rapidly and experience the growth a lot of other cities have! Thanks for your insight Matthew. Overlooked by the rest of the country for decades, Milwaukee has developed its own indigenous culture and vibe. While perhaps a bit risk-averse and conservative, Milwaukee punches well above its weight class with global heavyweights like NML, Rockwell Automation, Fiserv, to name a few. Being just 90 minutes from Chicago and blessed with the best summer weather in the whole US of A, Milwaukee is slowly being “discovered” as the “hidden gem” of American cities. Thanks for responding. We will definitely have to keep an eye on your great city, and maybe even do a follow-up! Overlay this list with the Amazon HQ list, and there is quite a bit of overlap. Interestingly, Minnesota declined the play to pay with AMZN so we’re not in the final list, so it’s promising to see a robust start-up community absent the elephant. Does anyone else question the rampant ageism evident in the startup community? I will cede the advantage of youth regarding energy that may be devoted to an emergent business, ideas, experience, and contacts are as much the province of the middle-aged. Even, perhaps, the seniors amongst us! I am 61. Recently, a start idea of mine generated interest at a Startup Weekend event. (3rd place in competition.) I have one business behind me. Four concepts that have over time moved for my friends laughing at them to generating substantial sales (for someone else). Approximately 70 more concepts across a number of industries -many highly viable, some so-so- that I would love to share. Beyond that, I have a half-century of experience with various markets, proven observational skills, and a strong desire to participate. It seems to me that members of this community deprive themselves of resources and disincent potential, potent contributors with the current emphasis. Can we halt this trend before it does more damage? Very interesting post!! I did, however, just want to quickly note that it looks like there may have been a small mistake in the “Startup Growth Percent” infographic. There may have just been a mistake in the rank ordering of the “Highest” startup growth percents. 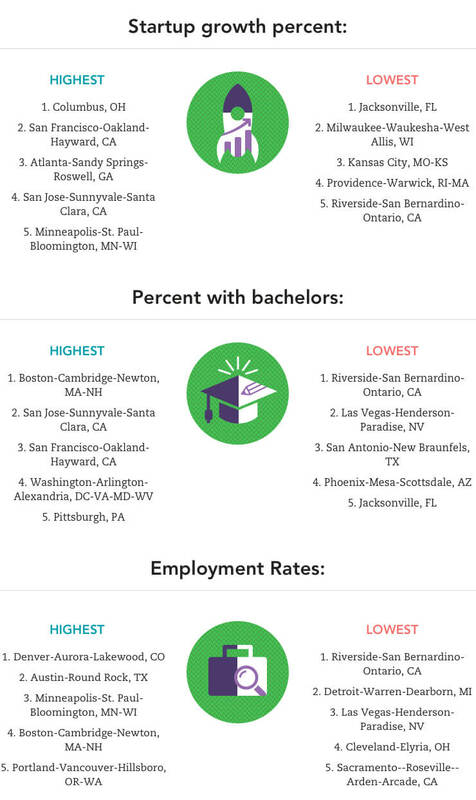 I’m seeing that the city summaries in the article list San Jose and Minneapolis-St. Paul as the cities with the two highest startup percentages, while the infographic ranks them as the 4th and 5th highest, respectively. Full disclosure: I am a long-time resident of Minnesota and I’ve lived and worked in Minneapolis for several years. While my work revolves around empirical research, statistics and data visualization, I’m sure that any ranking discrepancy only stood out because my totally nonobjective, knee-jerk defense of my home state (“HEY!! I THOUGHT THEY SAID MINNEAPOLIS WAS #1 IN GROWTH?!?”). 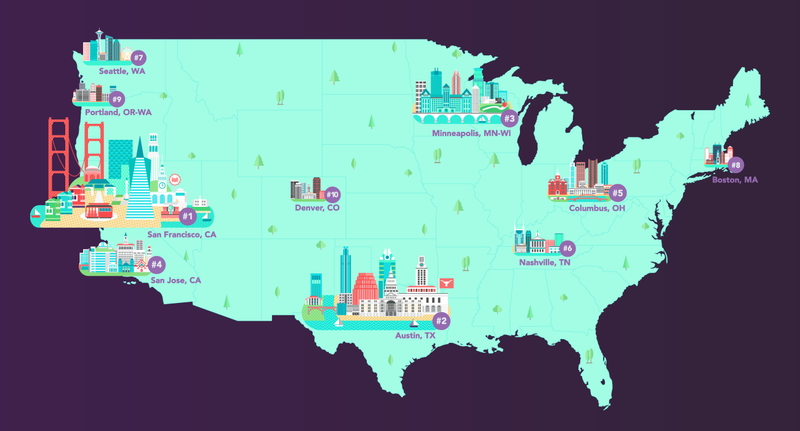 Glad to see all the cities on the list are startup havens. Do you have a startup,franchise, or existing small business(SME) with the potential for growth? Hiring new talent? Purchasing equipment? Thank you a lot for this cool article. The another recommend for startups. Of course you need a nice website, but your budget is not so big. Use wix templates to create your own nice website for good price and without any troubles. Minneapolis, MN attract me a lot. i am not going to start any company but ya if i am going to start in future than i would like to go Minneapolis, MN. Thanks to you for giving a good info for start up. if anyone here looking for eml to pst converter software than you can check our product which will help you as we are providing free demo as well. It will help you a lot.